Amazon.com description: Product Description: IF we were asked to designate by a single epithet most of the stories in this little volume, that epithet would be weird. Within the compass of an equal number of pages we hardly know a collection of folk-lore, at any rate of recent date, containing so many thoroughly uncanny stories. Mr. Curtin is an indefatigable and successful collector. Hitherto his publications have been of mÃÂ¤rchen and hero-tales allied to mÃÂ¤rchen in their Celtic magnificence and repudiation of the conventions of ordinary romance. The present volume deals with sagas which, told, as they usually are in Ireland, among a believing peasantry, must go near to making "each particular hair to stand an-end," must at least rouse the imagination of the hearers and surround them with terrible sights and sounds long strange to us who dwell in the garish daylight of a different world. All the stories, it is true, are not of this kind. Some of them witness to a livelier humour, such as we meet in the tales told from East to West of woman's tricks and woman's wiles. But they bear a small proportion to the rest, and even they are touched with the same uncanny tone. Scientifically the chief question raised by the stories, as pointed out by Mr. Alfred Nutt in his excellent preface, is that of the connection between the different classes of supernatural beings. The attributes of a ghostÃ¢ÂÂthat is to say, the spirit of a dead manÃ¢ÂÂare indistinguishable from those of a fairy. Witches are not brought so prominently before us as ghosts and fairies; it is equally certain, however, from what we know elsewhere, that the attributes of witches and of fairies are often confounded, if, indeed, they be not the same. We have lately had before our eyes an example in the "Witch-burning" case at Clonmel. The unfortunate woman who was burnt to death was regarded as a fairy changeling, but she seems to have been spoken of indifferently as a witch. We must turn to savage beliefs for an explanation of this. There we find no distinction between the powers of disembodied human spirits and those of other mysterious beings; and the same powers are capable of being acquired by shamans, medicine-men, or whatever else they may be called. The fact seems to be that, although in process of time distinctions have been evolved between different classes of supernatural existences, the evolution has been imperfect, and much remains of their common character. The volume before us comprises, of course, many variants of tales already well known, while others appear to be quite new. All are told with freshness; and most of them illustrate with striking force Mr. Curtin's statement that the beliefs to which they relate " are among the main articles of faith for a good number of the old people" still living. Scattered up and down are interesting observations on the practices of the peasantry, those on funeral customs and the superstitions attaching to the clothes of the dead being specially worth study. 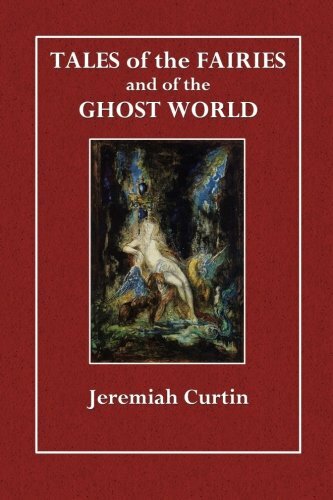 We have our doubts whether Mr. Curtin possesses the qualifications for "a connected and systematic account of Gaelic mythic belief and legend" for which Mr. Nutt longs at his hands. But that he has many of the qualities of a successful investigator as well as of a first-rate collector his books amply prove, and the Tales of the Fairies is not the least among his books in this respect. About: IF we were asked to designate by a single epithet most of the stories in this little volume, that epithet would be weird.